Woodland and Conservation Management Plans	Which way woodland management? A range of research projects into ash dieback disease, launched by Defra, are beginning to produce results. Previously known as Chalara fraxinea, the new correct name for the fungus is now Hymenoscyphus fraxineus. Field trials growing young ash trees have now completed their third year, growing seedlings from 15 seed sources. With two years left to run, scientists are hoping for as few as 1% survival, so they can be confident of natural immunity to the disease. These would then be used to propagate larger numbers of seedlings for potentially eventual commercial sale. Elsewhere a technique to predict disease resistance is being developed that analyses metabolites from leaves, collected from trees in the wider environment. One tree from Norfolk, nicknamed Betty, has been predicted to show strong tolerance. 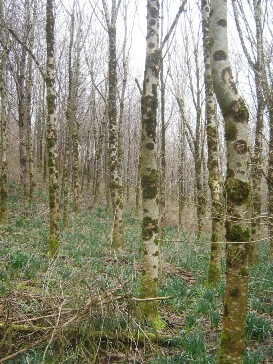 The research is currently indicating that it should be possible to select and grow young ash stock with a 30-50% chance of resistance to disease, which is a much better percentage than the 90% plus mortality currently predicted in the wider population. So the injection of funding into research is already beginning to yield promising results. 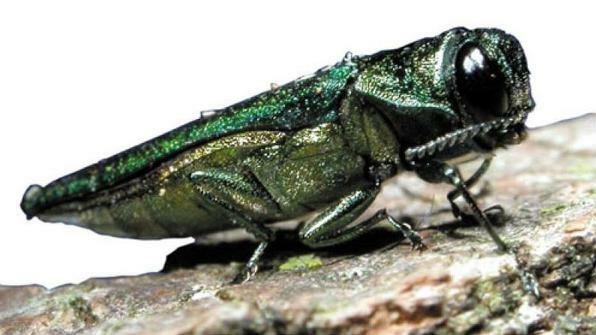 But, on the gloomier side, if you have not heard, then remember the name emerald ash borer beetle (Agrilus planipennis)! This eastern Asian beetle is now in both North America and eastern Europe, spreading westwards from Moscow at about 25 miles a year. That’s quite a while before it reaches the UK, unless of course it has a helping hand from humans along the way, having believed to have reached North America in packaging material. The beetle scores rather higher than ash dieback disease on the government’s plant health risk register (yes there is one!). So perhaps it’s still too early to planning an ash restock……………..